Properties in Martinborough average 4.6 out of 5 stars. 56 on Naples just one min to the square with wifi. Property 11: 56 on Naples just one min to the square with wifi. Historic Cottage in the heart of Martinborough. Property 12: Historic Cottage in the heart of Martinborough. 4 Bedroom villa with Spa in Martinborough. 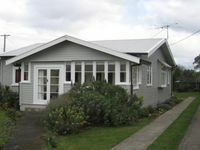 Property 14: 4 Bedroom villa with Spa in Martinborough. Great location, close to all vineyards and the square. Fantastic host with great communication. Fire place was lovely, cottage had everything we needed.